Travel to the place where the turning point of the Civil War occurred in July of 1863. 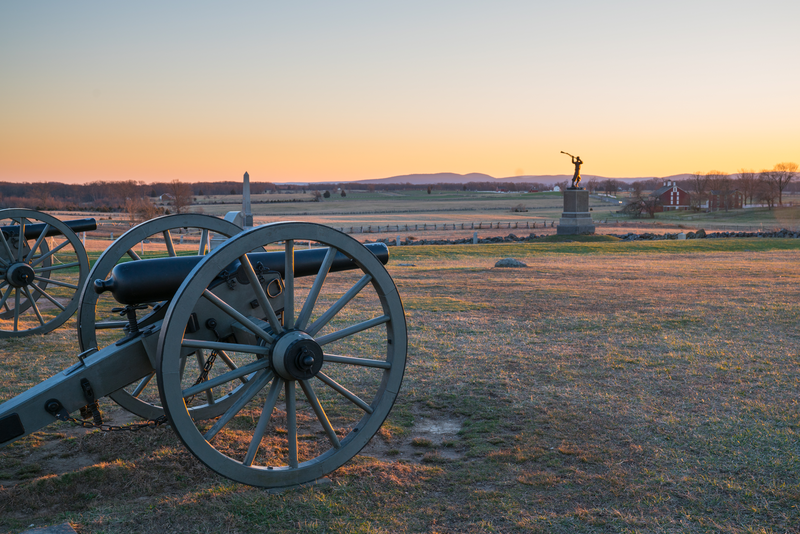 If you join us for this trip, you’ll experience a guided tour of the Gettysburg Battlefields and enjoy an afternoon buffet meal at General Pickett’s Restaurant. We’ll finish the day off with a Candlelight Walking Tour of Baltimore Street (the tour lasts about 1 hour and 15 minutes and covers about three quarters of a mile). Our guide will tell tales of the most haunted place in America.